Rational: Self-esteem can be explained simply as how much a person likes him or herself. Adolescents have varying levels of self-esteem, which appears to be influenced by such factors as gender, ethnicity, and social class; and can also vary within an individual (www.human.cornell.edu). Research has found that satisfaction with physical appearance is a large component of self-esteem, and adolescent girls have greater dissatisfaction with physical appearance than do boys (Harter, 1990, 1999). The results of low self-esteem can be temporary, but in serious cases can lead to various problems including depression, anorexia nervosa, delinquency, self-inflicted injuries and even suicide. Self-esteem is related to school performance and delinquency (Harter, 1990, 1999). During adolescence many young girls struggle with their self-esteem causing them to feel bad about themselves. Shen and Armstrong (2008) conducted a study to test the effectiveness of sand tray therapy on adolescent girls with low self-esteem. The effectiveness of sand tray therapy was examined using a pretest-posttest control group design with young adolescent girls identified as having low self-esteem. The results of their study revealed statistically significant differences between participants in the treatment and control groups in self-esteem. Those that participated in the self-esteem sand tray had in increase in self- esteem. My Theory aims to combine the positive effects of sand tray therapy with self esteem activities designed to increase adolescents' self-esteem by helping them to feel good about themselves in general. The following activities are directive sand tray activities. In Ethiopian culture the lion of Judah represents Strength. This lion is a symbol of the Emperor of Ethiopia. The Emperor of Ethiopia was known as the "Conquering Lion of Judah,” due to having defeated many of the nation’s enemies during his reign. 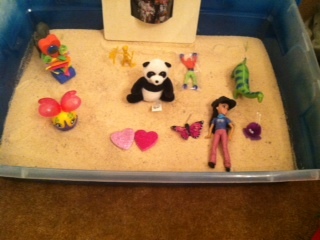 Explanation: This sand tray activity aims to help establish a child’s identity and strengthen it. 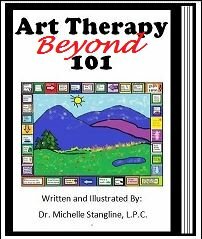 This is helpful for children who have lost sight of who they are. Materials: sand tray, sand, miniatures, markers and strips of paper. 2.) Allow the child to pick the sentences that they would like to complete or they can come of with their own. 3.) 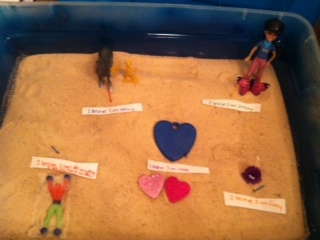 Have the child place the completed sentences into the sand tray along with miniatures to coincide with each sentence. 4.) Allow the child to sit with the tray. 6.) Help the child to understand that beliefs are what help to make them what they are and that everyone has a different set of beliefs. In 2009 Ethiopia adopted a new symbol on their flag which is a pentagram. A pentagram usually has strokes through the center and has 5 points. The emblem is intended to represent both the diversity and unity of the country. 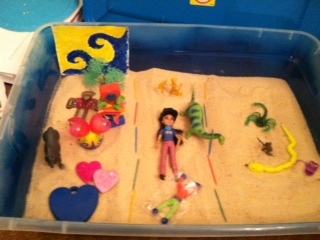 Explanation: This sand tray activity aims to promote self-esteem and to emphasize all of the different and positive attributes of the child that helps make them the great person that they are. This activity is great for girls off all ages. Materials Picture frame, picture of the client, sand tray, miniatures, glitter and materials to decorate picture frame. 1.) Ask the client to walk around the room and select miniatures that they feel best represent themselves. 4.) Have the client remove and miniatures that they feel to be negative attributes about themselves. 7.) 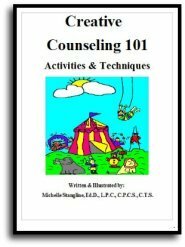 Once complete allow the child to sit with the tray and discuss how they are unique while pointing out all of the positive things about themselves that they have placed in the tray. 8.) 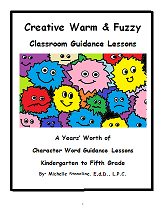 Allow the child to keep that miniature that represents their favorite thing about themselves. Instruct the child to hold this miniature when they began to think negative or unhappy thoughts about themselves as a reminder of how great they are. 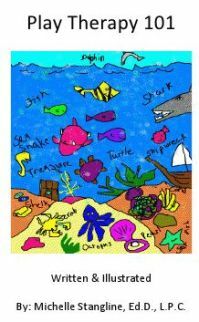 Explanation: This sand tray activity aims to promote sharing of the child’s values and perception of what is important in life. 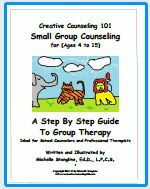 This can be used as an activity to assist in building positive self-esteem in girls of all ages. 1.) 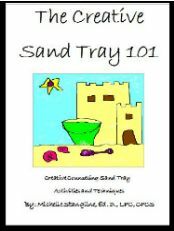 Have the child separate their sand tray into three sections. 3.) Instruct the child to separate the miniatures into three sections from what the feel to be very important, important and not important. 4.) Once complete ask the child to add take away or change miniatures if they feel necessary. Explain to the child that I does not matter if some sections of their tray ore fuller than others or even empty, as long as they have place the miniatures in the group that they feel is right. 5.) Have the child sit with their tray and discuss the miniatures that have been placed into each pile and discuss why they have placed these items in the piles that they did. As you go along, emphasize how that child’s responses are important and unique. Harter. S., (1990). Identity and self-development at the threshold: The developing adolescent (pp. 352-387). Cambridge, MA: Harvard University Press.